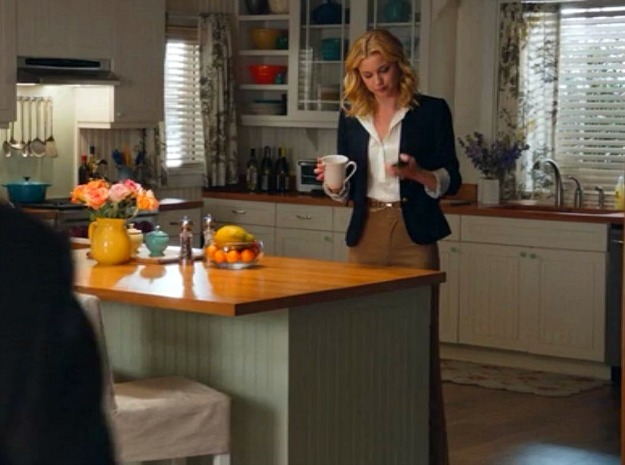 Fans of the TV show Revenge, are you also fans of Emily Thorne’s beautiful, all-white traditional kitchen? You can get her kitchen look without moving to the exclusive Hamptons in New York. And without seeking vengeance! You need only visit your local IKEA store. Europeans just have such a flair for style, don’t they? Even their kitchens have that je ne sais quoi. IKEA has everything you need to create a beautiful, European-style kitchen. 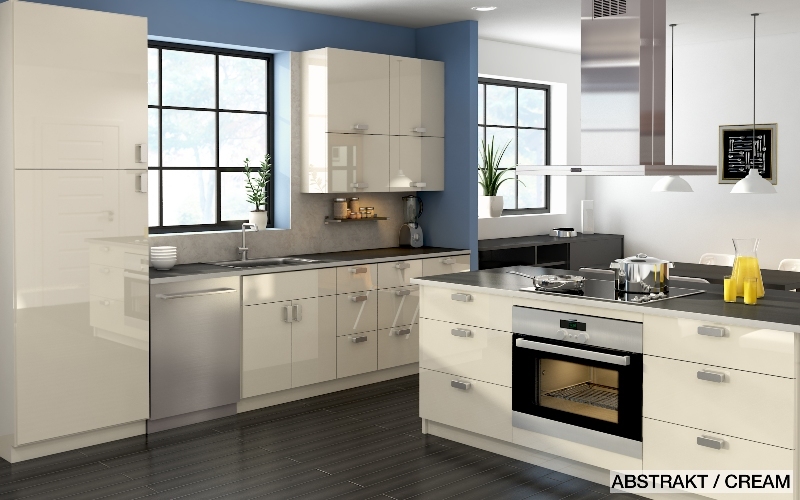 Many Europeans prefer IKEA kitchens for their clean look, efficiency, minimal fuss, functionality…need we say more? We’re seeing a lot of this look in SEKTION’s European twin, METOD. And we’ve got our fingers crossed it will be a part of SEKTION, too. Lisa, a singer and performer, is a real citizen of the world. She splits her time between Melbourne, New York City, and Italy. She had lived in Milan for five years, and her love of the fresh, modern look of Italian design never left her. When it came time for a kitchen redesign for her NYC apartment, she looked no further than Italy for her inspiration, and IKEA for the implementation. Have you ever wanted to try one or two of those IKEA kitchen ideas you see every day but you’re still afraid to make that leap of faith? Have you wanted to change the kitchen for a fresh look but then you realized most of these changes are expensive or too dramatic? The obvious answer to something that’s light and simple it’s easy: use open spaces or shelves. If you’d love to have open shelves in your kitchen but you’re not quite ready to take away your wall cabinets; these ideas can help. We know how hard it can be to make a white IKEA kitchen look beautiful. 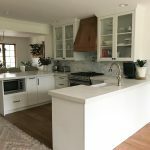 After all, you don’t want a cookie-cutter look for your kitchen from the big, bad Swedish mega-store; you want to use their kitchen cabinets to save money and then be able to splurge on other goodies such as a sturdy countertop, new lighting or appliances. The kitchen needed to keep the same layout and appliance locations. Our customers wanted to give their old-fashioned white kitchen a few splashes of color. Keeping appliances in the same place would help them save lots of money and ADEL doors would keep the space from looking too traditional. 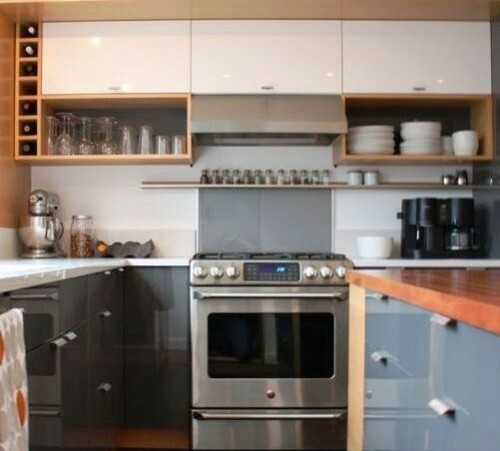 Take a look at this IKEA kitchen remodel for contemporary ideas for your own home! The project was completed with a $4,230 budget.